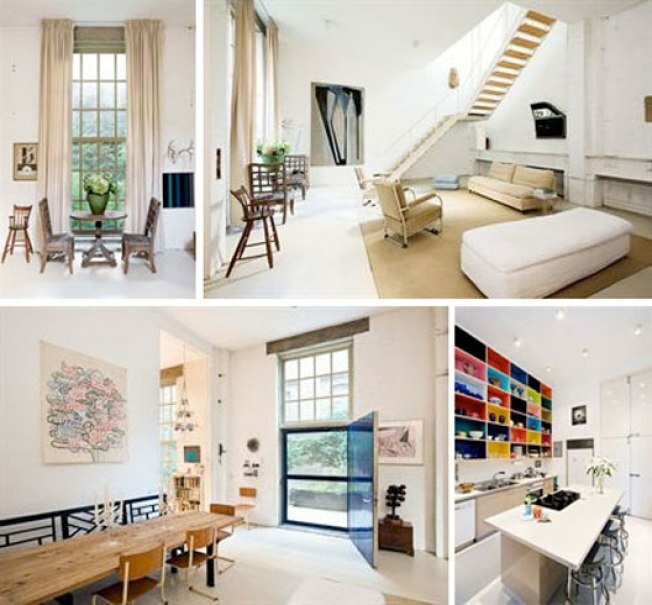 This 4BR, 2.5BA Soho duplex, sent our way by a tipster, was once owned by none other than Frank Gehry. According to the listing, Gehry exposed the apartment's 25' ceilings, though architect Walter Chatham designed the rest of the property. The rest includes a "magical garden" and, more mundanely, parking for two cars. How much to tread where the Gehrmeister once slept, ate, and ripped out ceilings? A just-reduced $5.8 million.